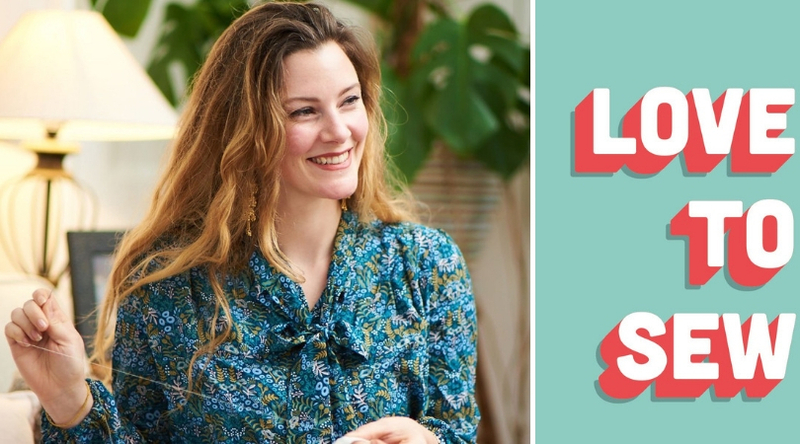 It’s Sunday and that can only mean one thing, it’s time to sit down with a cup of tea and enjoy this week’s Sew Reporter! 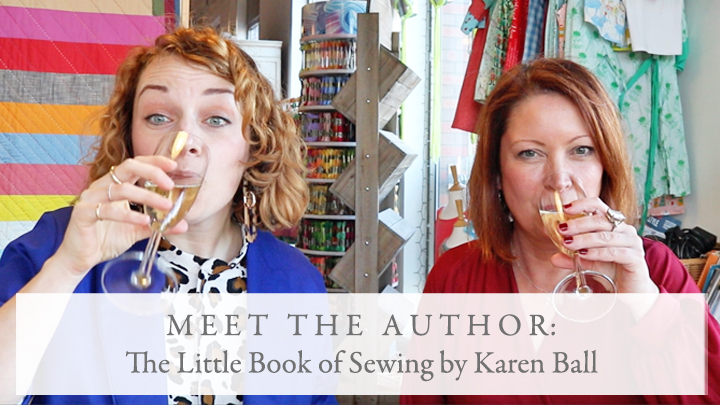 On the blog this week we chat with Karen Ball about her new book ‘The little book of sewing.’ There have been some amazing makes this week so go get yourself inspired. 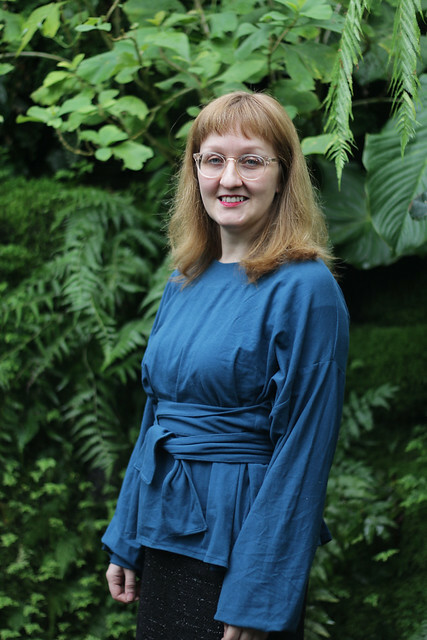 Sharadha of Sweet Shard used a pattern from the brand spanking new collection of Deer and Doe: the Sirocco jumpsuit. Doesn’t she look divine!?! 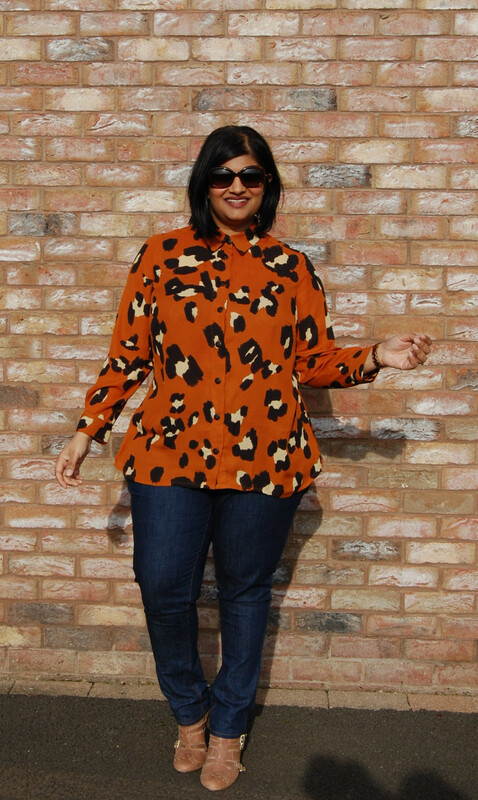 Manju of SewManju could not be more on trend with this fabric for her beautiful Simplicity 8014 shirt! 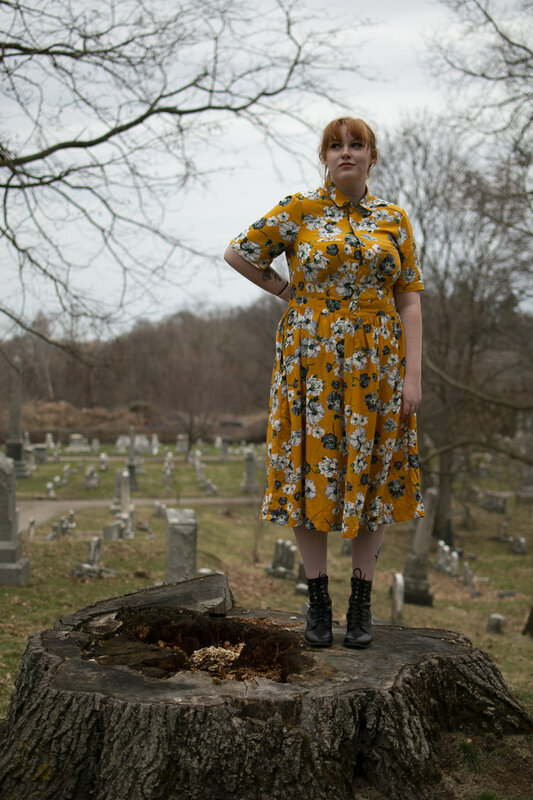 Mary of SableCraft is absolutely rocking her Colette Patterns Penny dress! The beautiful flowery lawn and the Penny dress pattern are a match made in heaven! Can one ever go wrong with a bright red party outfit? We certainly think Karen of Did you make that? nailed it with the Vogue 8825 dress, she looks stunning! We would be worried the day Marcy of Oonaballoona makes a black dress! 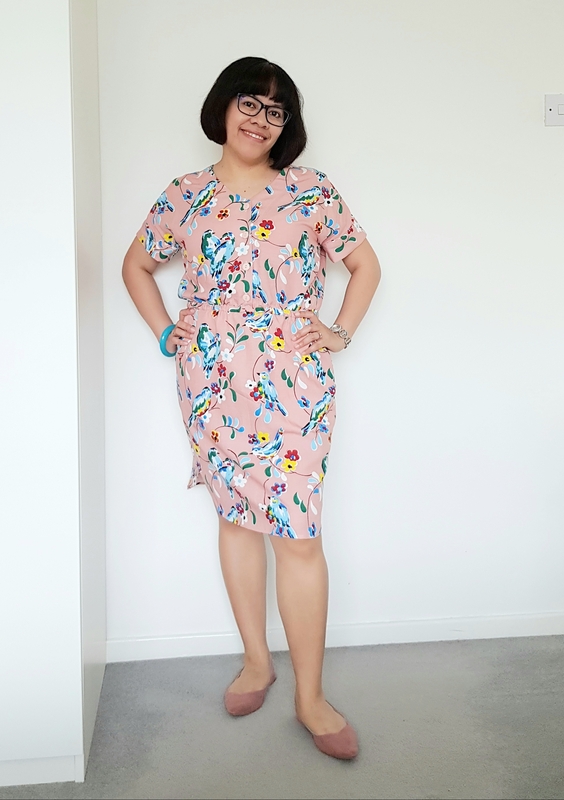 Her latest make is Simplicity 8546 dress is a sensational kaleidoscope of colours! 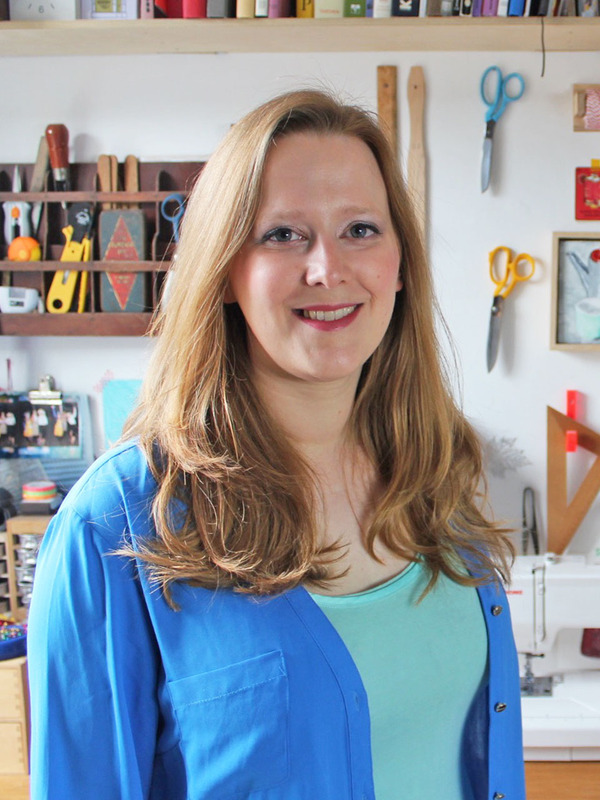 We love how Katie of Katie Kortman Art combines her passion for painting and dressmaking making fabulous hand painted garments! 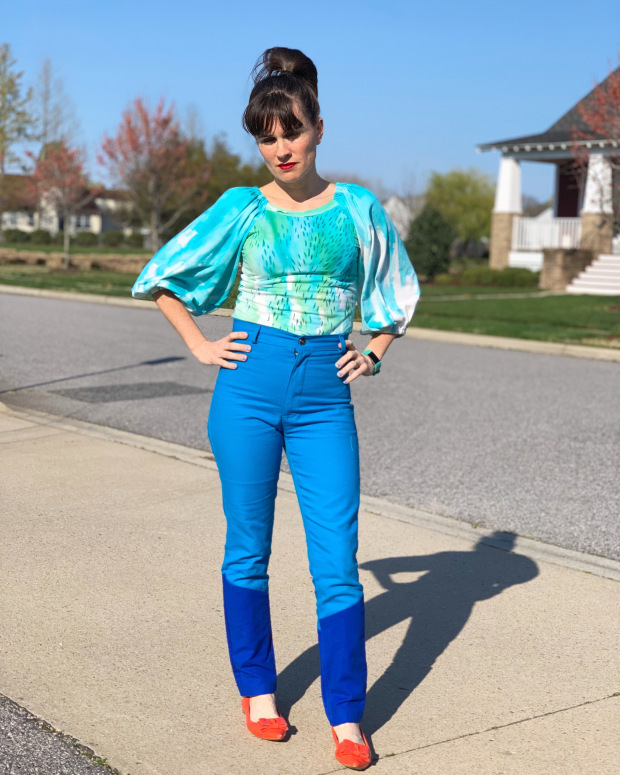 She used the Adrienne blouse from Friday Pattern Company and those sleeves are to die for! Charlotte of English Girl at Home stitched up the Belted Sweater by Digital Pattern Library and it looks like it is the comfiest sweater in the whole world! Secret pyjamas that look this good? Yes please! 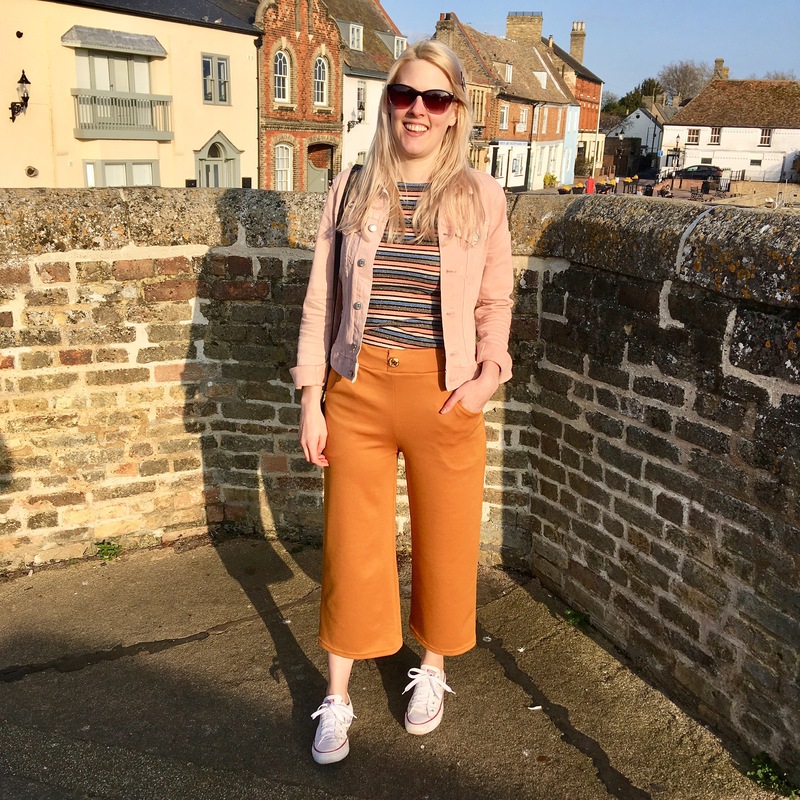 Joy of Pink Coat Club used the Joan trouser pattern from Friday Pattern Company to make these comfy trousers in a Ponte Di Roma! Faye is ready for warmer weather! 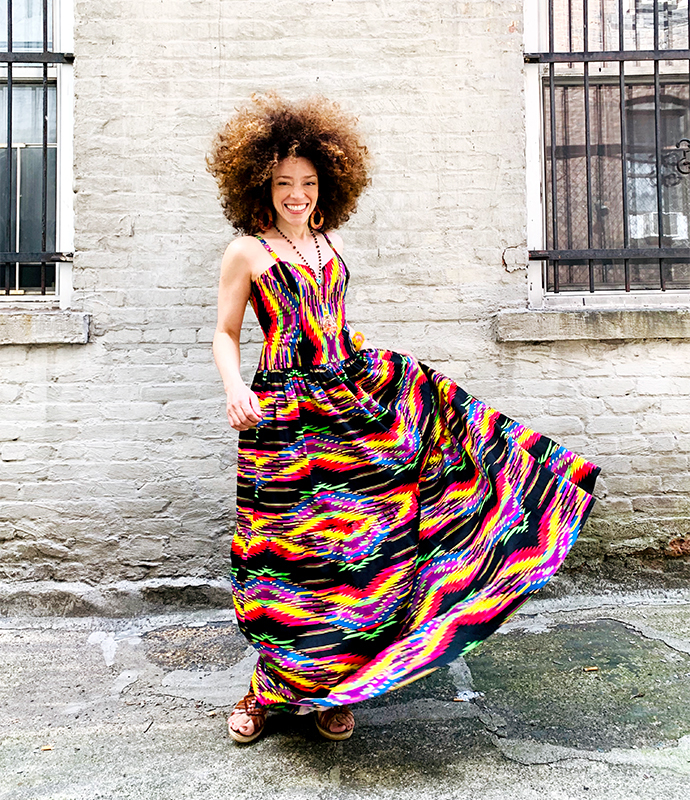 She used the Anza dress (and jumpsuit) by Itch to Stitch and we love this colourful fabric! 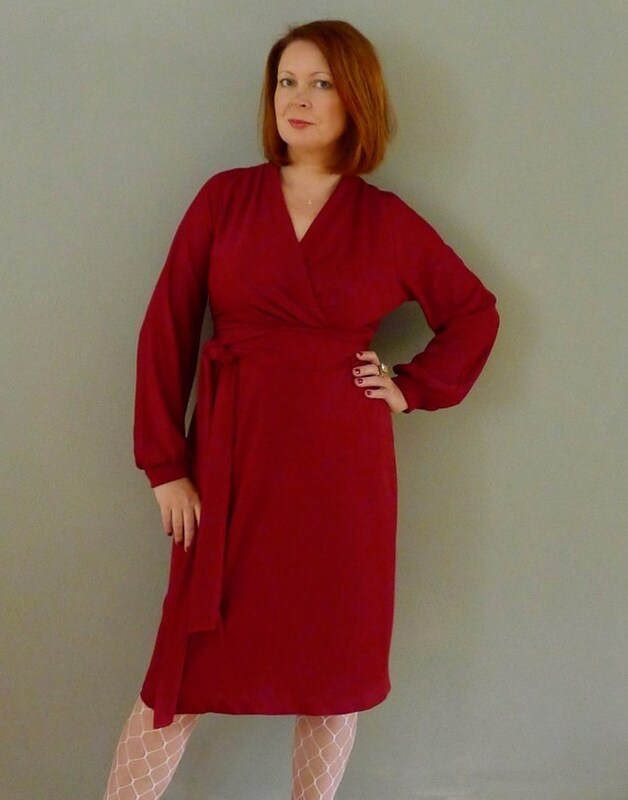 Lifting pins & needles: Melrose dress/top. 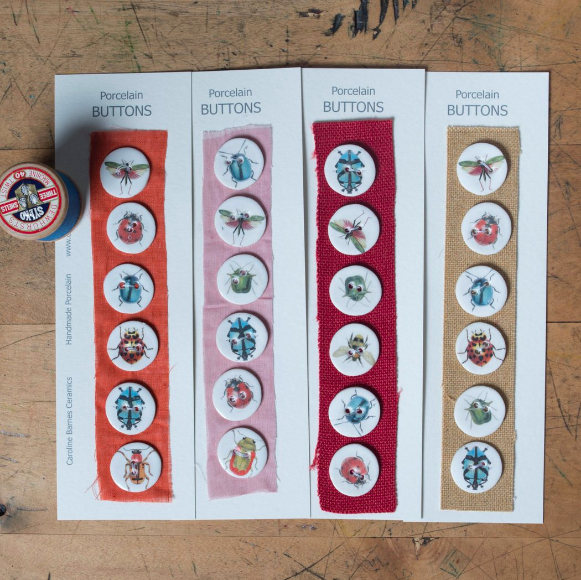 NEW from Itch to Stitch. Chiffon. Silk. 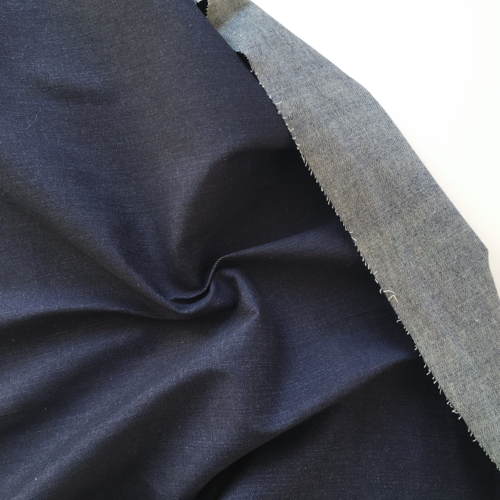 French seams and 85cm. 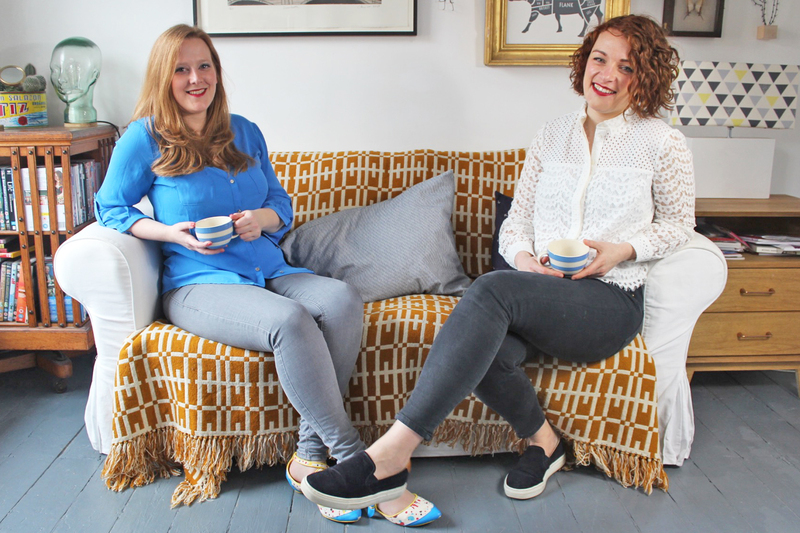 Are you taking the plunge this year and planning on making jeans? 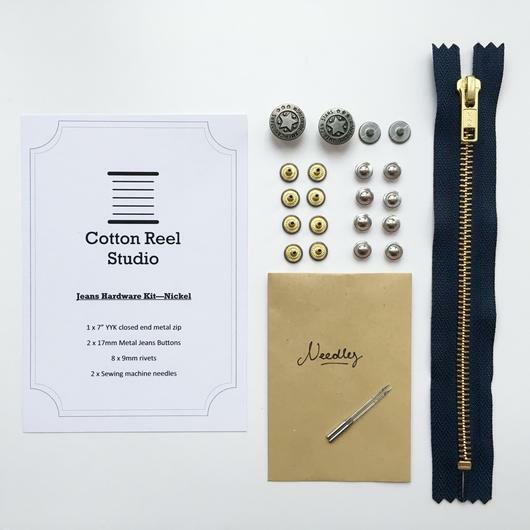 Collecting your supplies is made easy by Cotton Reel Studio! Isn’t any outfit made better with a spot of glitter? We love this brushed back sweatshirt material from Fabrics Galore! This tencel from Nani Iro looks like every flower is hand painted on the material and it’s simply stunning! Have a look at The Draper's Daughter where they have lots of other Nani Iro fabrics available too. 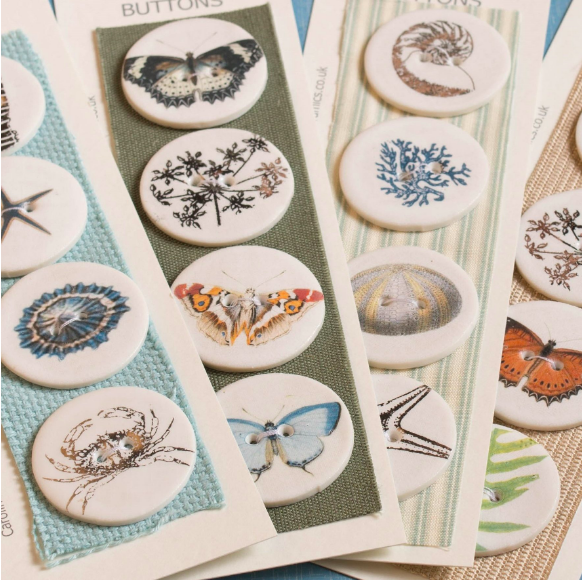 Aren’t these porcelain buttons amazing?!? They have lots of different sizes and styles available at Beyond Measure! We’re going bananas for this mint green jersey from Fabric Godmother! This NEW pin from Pink Coat Club is a must have for lilac lovers all over the world! It’s also perfect timing for Me Made May which is coming up next month! 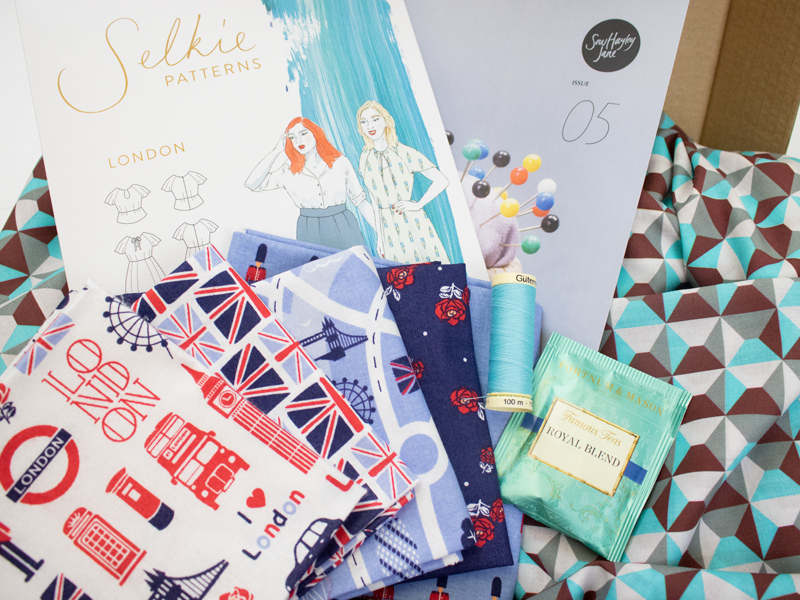 London calling… Every time we see a new subscription box from Sew Hayley Jane we have a new favourite! They just seem to get better every month! Now here’s something you don’t come across very often! 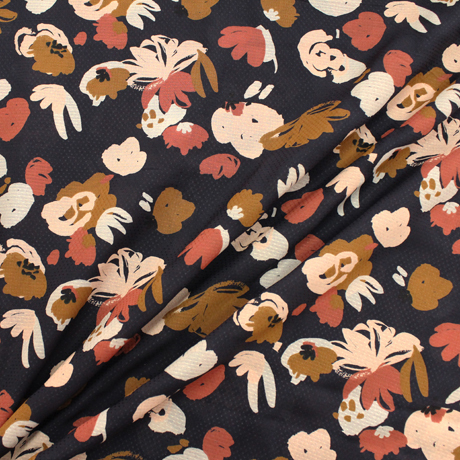 We spotted this double sided cotton jersey fabric at Girl Charlee! With olive green/cream spots on one side and olive green/ cream stripes on the other. 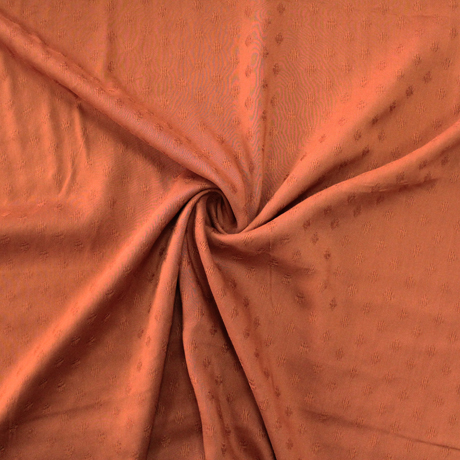 This organic cotton from Cloth and Candy is called Wink Blush! The name sounds just as dreamy as the fabric itself. What a beautiful colour! We can’t get enough of the beautiful Atelier Brunette fabrics! 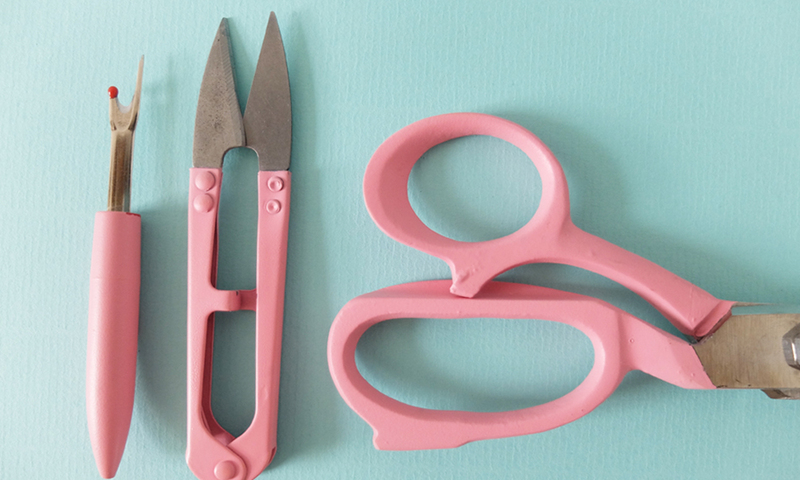 It's basically impossible to resist these pretties from Sew Over It. A beautiful high quality satin in the most gorgeous colour with a deep chocolate print… Added monkey’s? Sure why not! This fabric from Lulou designs is pretty cool! 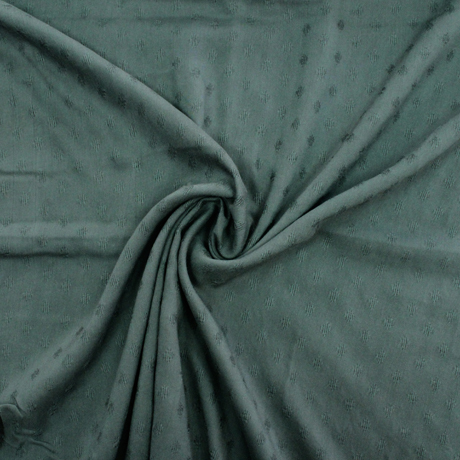 Cloth Spot is our ‘go to’ shop when we’re looking for beautiful drapey fabrics. This beautiful coral crepe is a new favourite! What a stunning summer dress! Perfect for the upcoming wedding season. 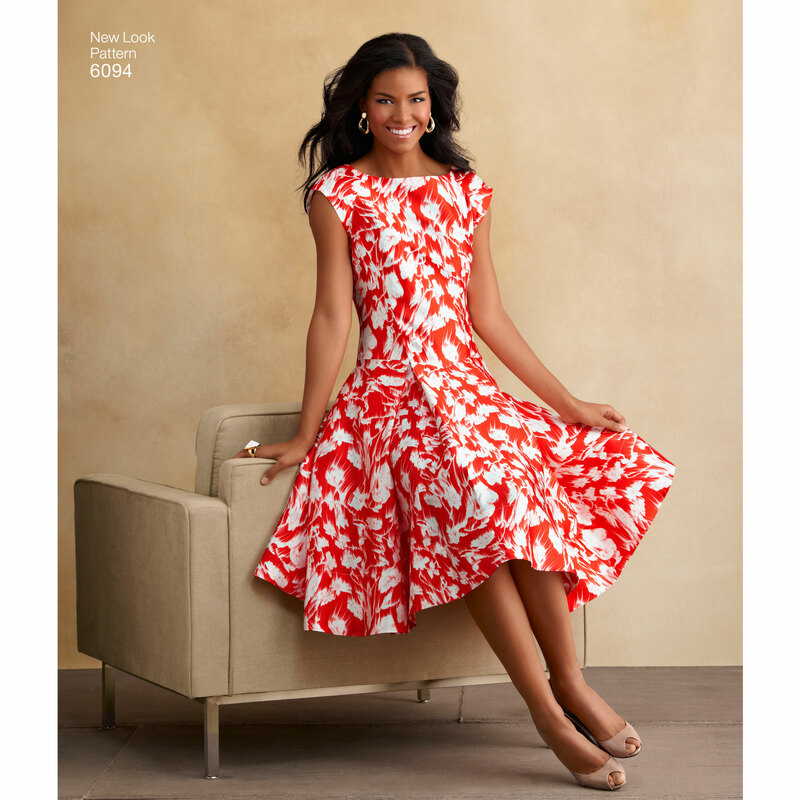 It's the 6094 dress pattern from New Look. Yup, another fabric added to our wish list.. It's a cotton double gauze in a beautiful rich red colour with golden dots from Lamazi Fabrics. THAT mustard yellow leopard print jersey is back in stock at Sew Me Sunshine! It would make such a beautiful top or dress! 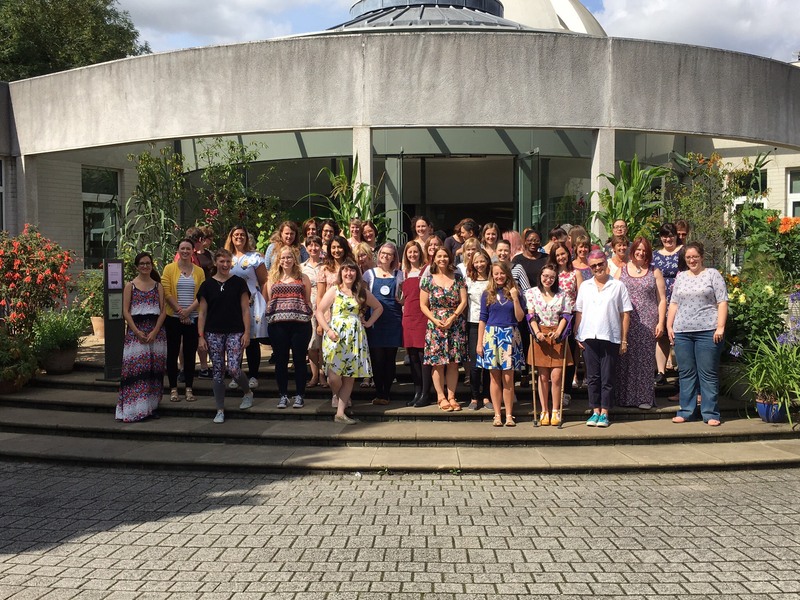 We keep a handy list of sewing events, exhibitions and meet ups happening in the sewing community all over the world on our sewing social calendar here. 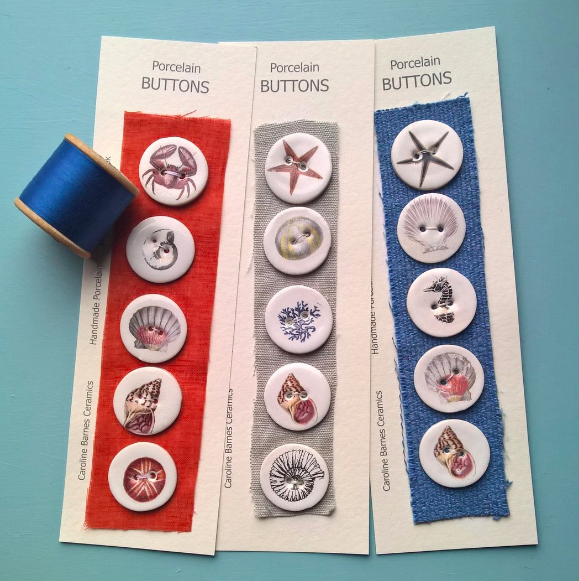 Come and join our sewing Facebook group where we are chatting about sewing plans, new patterns and helping each other out with projects.